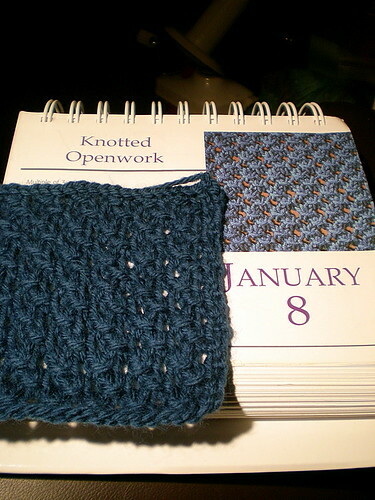 Similar pattern to yesterday, just with no complicated purling, which would make it great for socks. Quite stretchy too. Note to self: find more interesting way to take pictures of swatch and calendar.